Of all your home’s components, the HVAC system is the most important. You can go without internet or water for a while, but AC? Not so much. Keeping your home cooled is absolutely critical when you live in southern California. Why Add an Air Conditioning System to Your Home? While it may seem easier and cheaper to keep an older system going for as long as possible, it’s a good idea to consider replacing it, even if it’s not broken. That holds true whether it’s a series of window units or an older HVAC system. Window units are incredibly easy to install because they require practically no special skills in order to get them up and running. In the time it takes to run to Lowe’s or Home Depot and load a window unit into the trunk of your car plus about ten minutes to pop it into a window frame and plug it in, you can transform a smoldering room into a cool paradise. There’s no contractor involved. Comfort. One of the biggest disadvantages of a window unit is that they always seem to produce too much or too little cold air. What makes them simple to install also keeps them from making the room truly comfortable. They’re simply not capable of monitoring the temperature and making the necessary adjustments for maintaining a consistent output for comfort. You either feel like you’re standing on a windy iceberg or like you’re stuck in a muggy, underground tunnel. Noise. If you’ve ever stayed in a budget hotel with a window AC unit, then you know they can be noisy. While all that “white noise” might come as a benefit in the budget hotel, it’s hardly conducive to a peaceful homelife. And remember: noise creates more noise. If your AC unit is loud, so is your TV. True, some of the newer models are considerably less noisy but you’ll never find one that’s as silent as a modern HVAC system. Ditching the window units and adding an air conditioning system means you can use your “inside” voices again. Home Security. When there’s an appliance stuck in your window, it’s as good as leaving your windows open. That leaves you vulnerable to anyone who’d like to get inside your home — namely, burglars. Savings. Yup, window units cost less… up front. But if you’re a homeowner, you’re used to thinking for the long haul. Consider how much your cooling system costs in terms of energy use. A new HVAC system wins in this category, every time, hands down, for the mere simple fact that they use far less electricity than window units. Plus, they last a lot longer, too. That cheapo window AC unit you bought ten years ago? It’s probably on its last legs (if it’s even still working at all) as they usually have a service life of ten years or less. The average HVAC system lasts 15-20 years and in some cases 25 years with good maintenance. Squeezing a few more years out of an old HVAC system does have its advantages. You won’t have to pay for a new one. Your life won’t be disrupted while a new system goes in. But running an aging AC system is like driving a beater car. Sooner or later, you’ll face a reckoning — most likely when it’s incredibly inconvenient! And, just like with an old car, there’s a point where it just doesn’t make sense to keep pouring money into repairs on something that’s about to give up the ghost. Even if you make repairs, there’s a good chance a different part will break down at any time. A new unit comes with a warranty so you may not have to worry about paying for repairs for quite some time. And, like an old car, an old HVAC system can be dangerous. 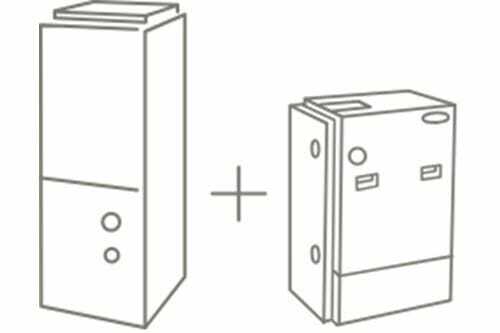 Fuses can short out and electrical connections can weaken over time, posing a fire risk. And if you have a heating component, it’s important to know that older furnaces can crack and begin leaking carbon monoxide. Improved Air Quality. HVAC systems don’t just cool (or heat) your home. They also maintain better air quality by controlling humidity, keeping out pollen, and providing ventilation. Better Cooling. With a new HVAC system, you’ll be able to fine-tune the comfort levels of your home with amazing precision. Keep one room cooler while others are maintained a few degrees higher for energy bill savings. Make use of variable speeds to achieve consistent temperatures throughout your home. In other words, a new HVAC system means you can make your home just the way you like it. That’s doubly true because with a new system, you’ll be able to integrate smart devices like thermostats and apps that let you control the system from your phone. Higher Resale Value for Your Home. Even if you don’t intend to sell your home any time soon, it’s important to know that a newer AC system is a huge plus for home buyers. Getting a new HVAC system for your SoCal home isn’t like buying a new oven. When you buy a kitchen appliance, you research the features, get to know the brands, find a model that’s in your price range, and then head on over to the nearest big-box store to make your purchase. It gets delivered and you’re ready to roll (or bake). 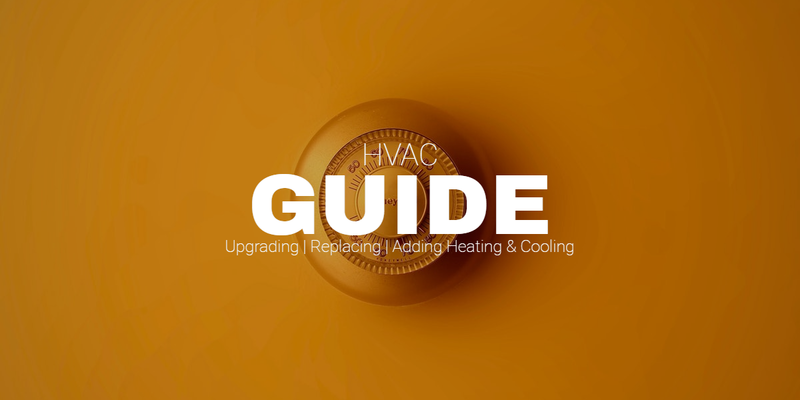 A new HVAC system, on the other hand, is a lot more complex and therefore requires a level of expertise beyond what you have (unless you happen to be an HVAC contractor). 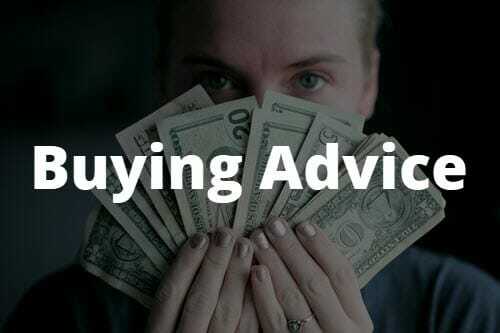 Here’s some buying advice, in the form of FAQ’s. Use it to make informed decisions when it comes time to start working with a contractor. If you’re replacing an old HVAC system, it makes sense to replace the whole system at once. If yours has a furnace component and it still works (furnaces generally last longer than air conditioners), consider replacing it anyway. Remember, a system upgrade isn’t just about purchasing a unit and plugging it in. There’s also the cost of having a professional customize and install it for you. To maximize efficiency, have everything done at once, rolling it all into one project. What Exactly is an ‘HVAC’ System? HVAC “Heating Ventilation and Air Conditioning” is much more than an appliance. It’s a system with several components — some of which are located in hard-to-reach places where most homeowners fear to tread. It’s important to understand your home’s cooling system but it’s also important to collaborate with a trusted contractor when you make important purchasing decisions. On the technical side, HVAC systems are forced air systems that keep your home comfortable. 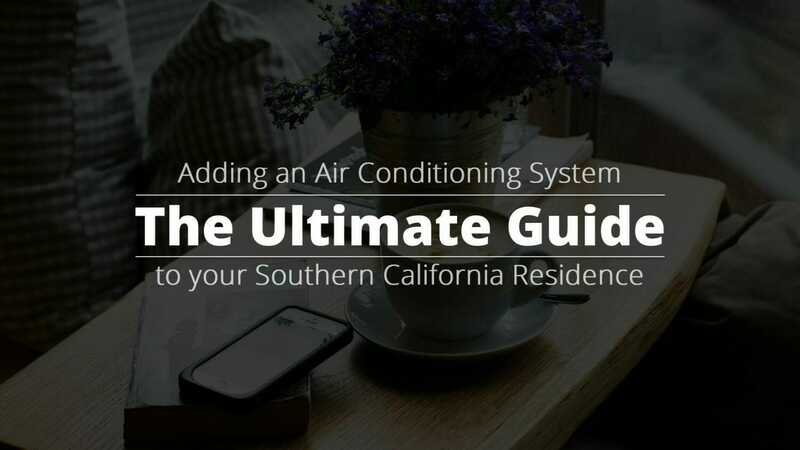 In Southern California, all homeowners should learn the basics of HVAC and how these systems work. What are the Main Parts of an HVAC System? Central Air. Central AC distributes cool air throughout your home — something you’ll need much of the year in this part of the state. 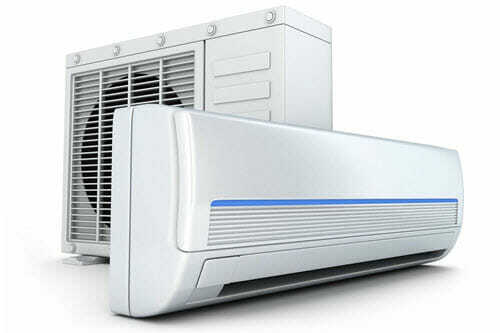 The most common type of central AC is a ‘split system’, where there’s an indoor unit and an outdoor unit. Heat Pump. This is a type of central AC that can produce not just cold air but warm air as well. Some homeowners in higher elevations do require heat on chillier winter days. Heat pumps are one of the most energy-efficient choices you can make, especially in this neck of the woods where you don’t have a call for heavy-duty heating systems. Furnace. Gas and electric furnaces are the most common types of furnaces. 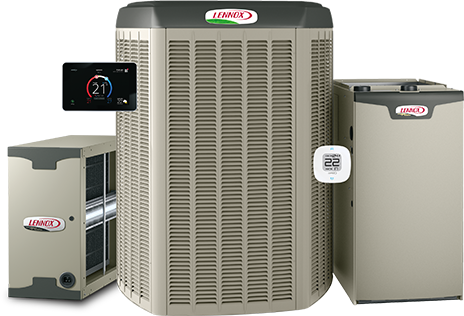 Some homeowners who already have a furnace choose to have it retrofitted with an air conditioning unit but in our warm region, you can get away with just a heat pump. Full furnaces are more common in colder regions. Single-Stage System. This is the simplest type of air conditioning/heating in an HVAC system. Referring to the type of compressor the unit uses, this type works on just one level: “on”. There’s no adjustment for high or low. Two-Stage System. As the name indicates, these AC (or AC/heating) systems can operate at different fan settings: high and low. With the addition of this additional, lower setting comes improved efficiency and comfort. What’s Better, Single-Stage or Two-Stage? Single-stage systems have lower up-front cost but in the long run may end up costing more in energy bills than a two-stage system. The reason is that they switch on and off more frequently than a two-stage system. That’ a lot of wear and tear. The two-stage system, if set to continually run on ‘low’, will meet most of your cooling needs without having to keep turning on and off. The ‘high’ setting would be the equivalent of running a single-stage system: great for the depths of summer when it’s hotter than the surface of Mars out there. But for shoulder seasons, when it’s not quite so scorching outside, it’s nice to have the “low” setting so you don’t have to cool at full blast when you don’t need it. The added benefit of less frequent cycling on and off is greater comfort. The cooling effect is more consistent. And, since the system runs continuously, moisture is constantly being removed from the air inside your home. If you’re on a budget, the single-stage system might seem like a better choice. But don’t forget to consider these efficiency and comfort differentials, especially if you plan on staying in your home for a long time. Even if you think you might sell in the next decade, a two-stage system will be more attractive to potential buyers. What is a ‘Split Ductless System’? These popular types of systems have an outside and an inside unit. The condenser is located outside, next to an exterior wall or on the roof. The air handler (blower) is located indoors. Depending on the size of your home, there can be 1 to 4 blowers. Blowers are mounted on the wall near the ceiling. There are no ducts involved in these types of systems which makes them a popular choice for home additions or vacation homes. In Southern California, however, lots of homeowners choose central AC over the split ductless systems. What Else Do I Need to Consider? How About Size? 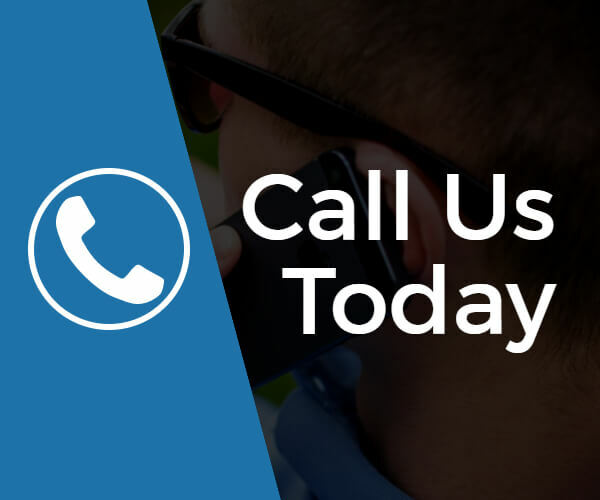 No matter how much you study HVAC systems and no matter how good you are at performing research and doing your due diligence, you’ll still need to call upon the resources of an HVAC professional. Nowhere does this become more evident than when it comes to knowing what size HVAC you need. And for all you DIYers out there, it’s not a good idea to simply mimic the specs on your old HVAC system. Most homes in the United States have oversized HVAC systems. In addition, chances are the old system wasn’t properly sized for today’s cooling standards and today’s energy efficiency requirements. How do I Find the Right HVAC Contractor? A good HVAC contractor will give you helpful information so you can make an informed decision. Together, after talking over your needs and desires, you both should agree on the plan of action. Therefore, you’ll need a contractor who can demonstrate right away that they’re a good listener. By researching your options, learning the basics, asking the right questions, and finding a trusted contractor, you have a much greater chance at finding the best HVAC system for your home or office.